They say imitation is the sincerest form of flattery – this story fits the bill. 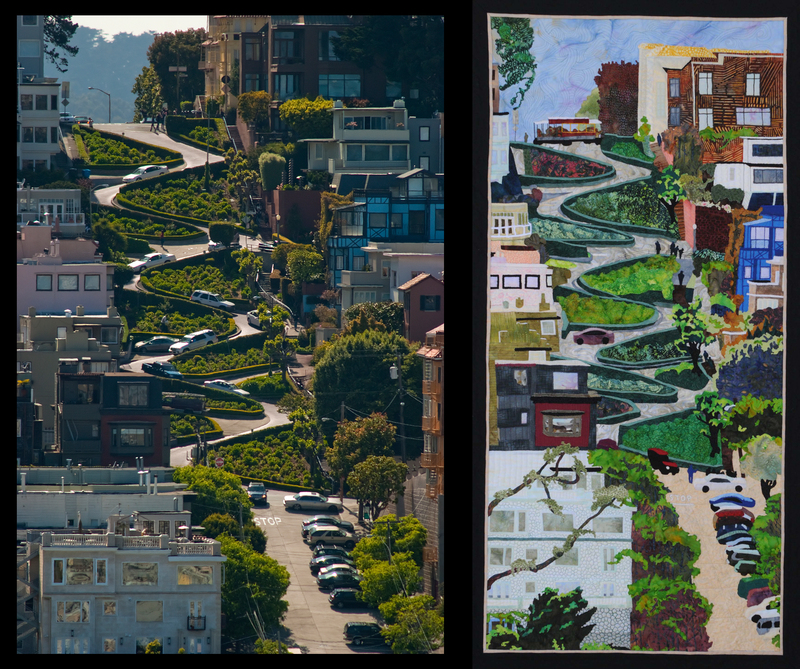 A few years ago while on assignment for Via magazine, I captured an image of Lombard Street that ran in their July/August 2009 issue. I was happy with the shot but didn’t feel it was the best image I captured that day, but that’s never the point when you are on assignment – the key is if your editors are pleased with the results – what they use is up to them. I even had another editor (from a different magazine) comment on how they felt this was one of the best images of Lombard Street he had ever seen. Goes to show you how subjective art can be. A month later landscape quilter Susan Lane contacted me to ask permission to use this image as inspiration for a new quilt she was sewing, to hopefully show in an exhibit. She said she was inspired by the iconic nature of this image. Since she wasn’t creating the quilt as a product to sell or license, I granted her permission and a few months later she emailed me the results. So many have inspired me in my artistic career, it’s nice to inspire another artist.